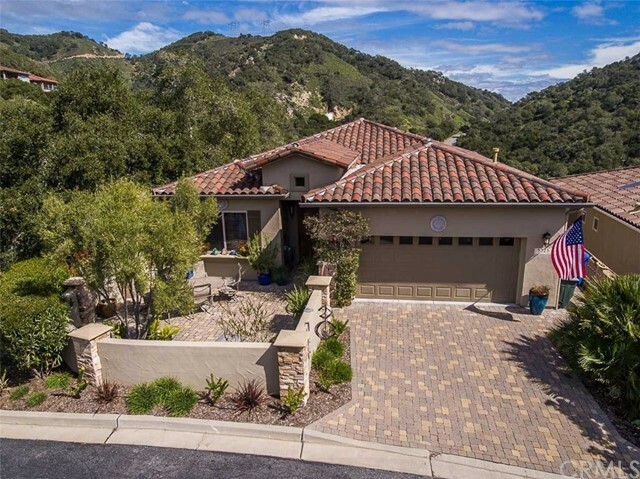 "Spectacular Ocean View home in Avila Beach located in the private gated community of San Luis Bay Estates. Adjacent to 1,000 acres of open space. 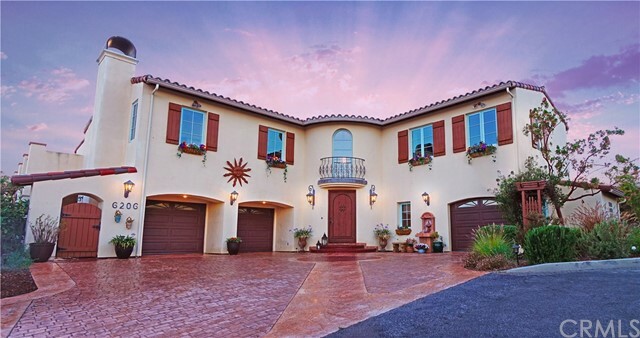 This Mediterranean Masterpiece has 3 bedrooms 3.5 baths, office, a game room or music room and 2500 sq. ft. of Saltillo tiled decks. The 20 x 52 foot great room has 3/4 inch hardwood floors and indoor-out door gas fireplace, 10 foot ceilings and custom tinted Pella sliding glass doors. There are two kitchens including a gourmet chef's kitchen with a Vi"
"Heron Crest Showplace! This extensively renovated 2,600 square foot, 4 bedroom, custom built residence features panoramic ocean views from its great room, kitchen and adjacent wrap-around upper level deck. This property has been meticulously reimagined with top quality, designer inspired materials, amenities and finishes throughout. The living room, dining room and kitchen are surrounded by walls of expansive windows creating a light and airy sourhwest facing environment. 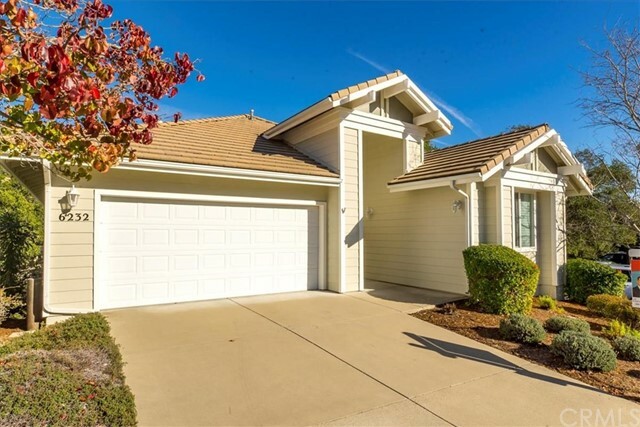 The wide plank Maple fl"
"Overlooking the oak covered rolling hills and open space of Avila Beach resides private oak forest and canyon view home in Kingfisher Canyon! 2,869 square foot piece of paradise is designed with living area's, dinning room, kitchen, master suite, laundry, powder bathroom and garage on the main level. This location is sitting in one of the most private lots in the development with open space across from the house and backing into over 89 acres of protected lands. Kingfisher canyon is home to beau"
"Charming ocean view private home backing into the enchanted forest of Kingfisher Canyon. 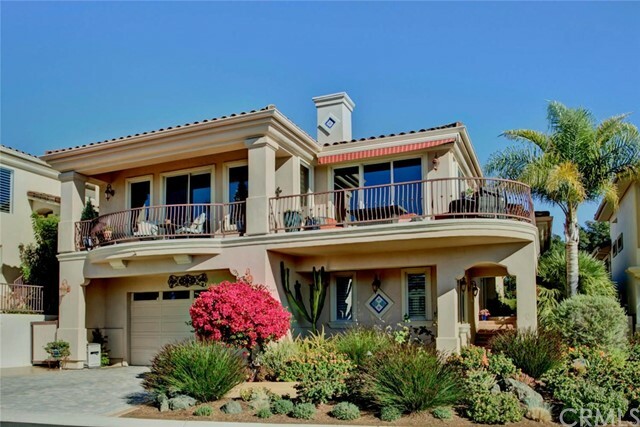 This magnificent 2,934 square foot enhanced Del Mar floor plan overlooks the rolling coastal hills and Pacific Ocean with open space behind it for the utmost privacy in the neighborhood! Designed as the model, this house was finished with a lovely court yard hosting a fire pit, water fountain and green screening for private enjoyment. Walking into the primary level allows for single story living! Entry level"
"Astonishing NEWLY completed show home with builder UPGRADES backs to a oak forest and protected open space. It is designed in a perfect manor capturing views of mother nature, hill sides, and canyons. An open concept with large picture windows through out the Mediterranean-style home. 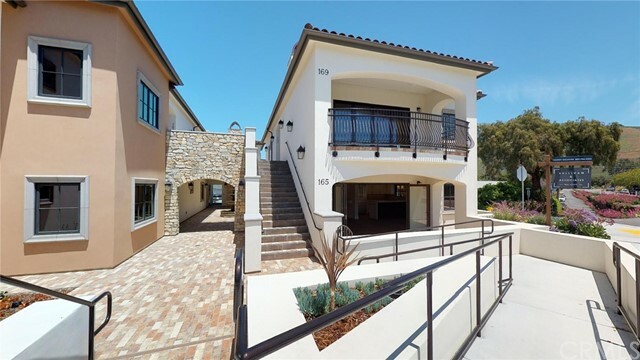 Boasting stone veneer and stucco exterior with remarkable custom finishes: European white oak and travertine floors; select alder wood cabinets & 8 ft. interior doors; granite & marble slab counter tops in kitchen "
"Single Level Luxury Living in Downtown Avila Beach! This beautifully appointed 2 bedroom/2 full bath beach pad offers 1325 sqft with 9' high ceilings and an open concept floor plan. A Fully retractable 12' glass wall to the front patio offers the perfect flow from interior to exterior living spaces. Finishes are superb with Walnut flooring throughout, Sierra Pacific wood-clad windows, Espresso Stained Alder cabinetry, Quartz countertops, Professional-Grade Thermador Appliances, Farmhouse Kohler "
"Picturesque and poised among the protected oak trees, take in the beautiful views & surround yourself in the serenity of the open space from this lovely Treehouse home in Avila s coveted Kingfisher Canyon neighborhood. Situated on a corner lot, it s ultra private! 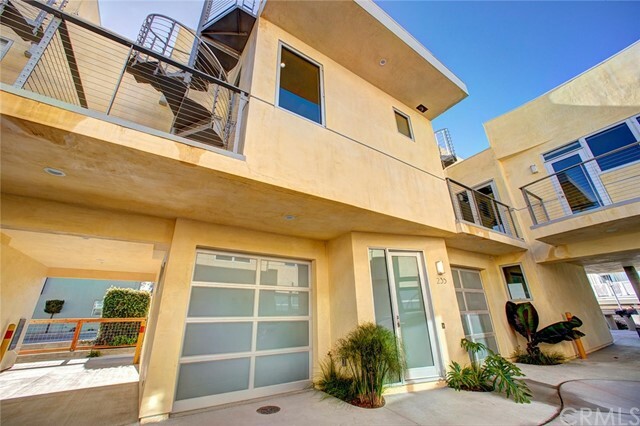 This Del Mar plan has upgrades galore and one of the largest courtyards. The main entry level features a gourmet kitchen, breakfast nook, great room with fireplace & large pictu"
"This 2346 square foot, three story (lowest level is garage and one bathroom; middle level is Entry, Front Porch, Living Room, one bathroom, Kitchen, Family Room, Dining Room, View Balcony off Living Room; upper level is Master Suite, View Balcony off Master Suite, two other bedrooms, one other bathroom, office nook), three bedroom, four bathroom home with a beautiful view of the golf course, creek and hillside is located in Avila Oaks, a ten unit condominium complex built in 2005. 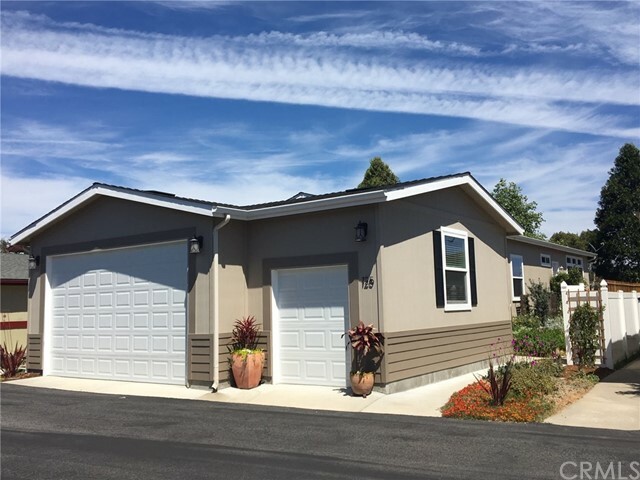 Tucked away fo"
"Peaceful and serene in the Skylark Meadows development at San Luis Bay Estates, a gated community in Avila Beach! This meticulously cared for 1983 sq.ft 3 bedroom 2 bath home enjoys privacy with no neighbors on the back and south sides along with many coveted guest parking spaces. A wonderful home for entertaining with a large living room paired with dinning, high ceilings surround sound speakers, skylight and a fabulous Majestic heater rated gas fireplace. 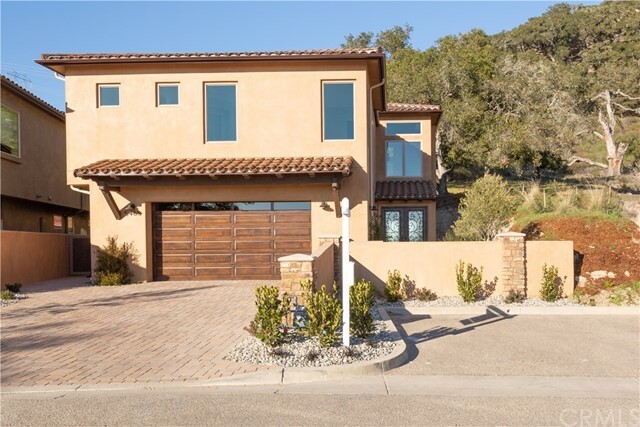 A sliding glass door opens onto a wond"
"Beautiful and extremely private single family home in the prestigious, gated community of San Luis Bay Estates. Have you been looking for your Central Coast Dream? These don't come on the market often. Upon entering you will notice hard wood floors , plantation shutters throughout, and nice high ceilings. The main level has 2 guest bedrooms, guest bathroom with decorative tile floors, living room with skylights and tiled fireplace, dining area and kitchen featuring Corian countertops, glass door"
"Rare SINGLE LEVEL Pelican Point Condo in the Prestigious San Luis Bay Estates!! Enjoy picturesque mountain views in front of the cozy fireplace with your morning coffee. Retreat to the tranquil garden and breathe in the fresh nature air while the humming birds visit for a snack. Immaculately cared for, this home shows deep Pride of Ownership and is move in ready. 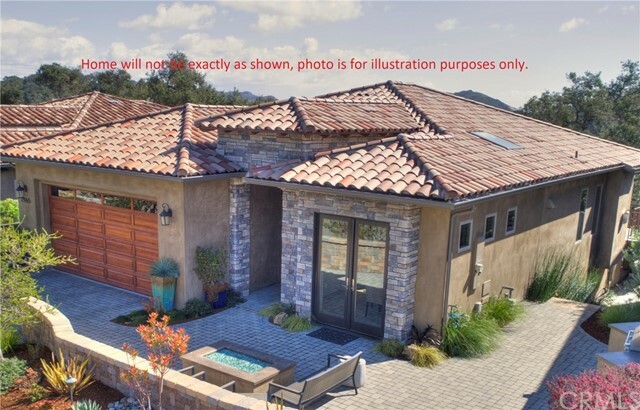 Vaulted ceilings, French Doors off Master Bedroom to backyard, Kitchen door to garden, New Oven, New Bathroom Faucets, loft/attic stor"
"Luxurious condos in the heart of Avila Beach! Take a stroll to the local coffee shop and enjoy a peaceful morning, gazing at the crashing waves and mountain ridge views on your rooftop deck. This 1 Bed/1.5 Bath condo is all new & never lived in, waiting for you to put your personal finishing touches on it and make it into your new home! 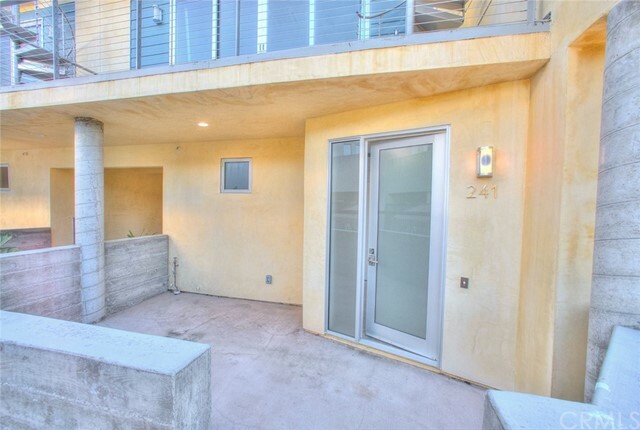 Featuring Santa Barbra Stucco exterior, YOU get to choose your finishes on this great property! Do you love to explore and entertain? Enjoy top-tier golfing near"
"END UNIT AND ALREADY UPGRADED! Now is your chance to own a remodeled condo in the gated community of Pelican Point in San Luis Bay Estates. 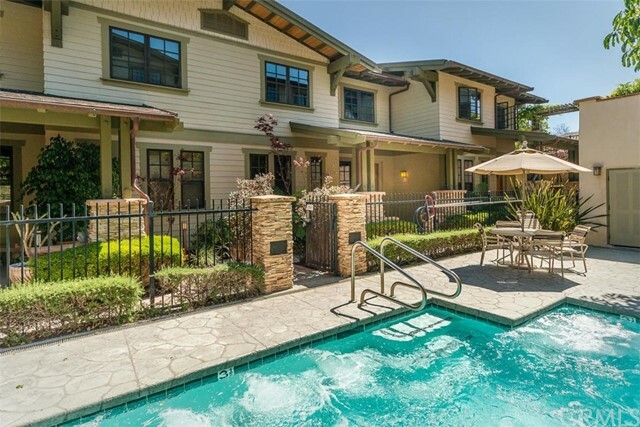 The superior location of this condo makes it one of the most private condos in the complex. 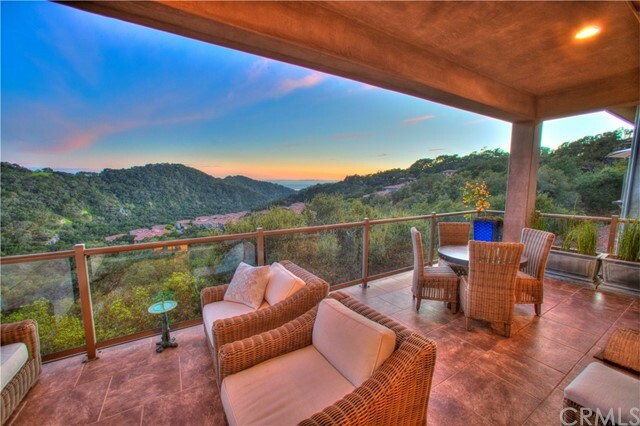 It is nestled into the Avila oak tree forest w/ views of the surrounding hills from every window! You will love the well-kept hardwood floors and the light and bright feel. Cozy up to the fireplace in the living room or enjoy your morning coffee from not just 1 but 3 "
"Luxurious condos in the heart of Avila Beach! Take a stroll to the local coffee shop and enjoy a peaceful morning, gazing at the crashing waves and mountain ridge views on your rooftop deck. This 1 Bed/1.5 Bath condo is all new & never lived in, waiting for you to make it into your new home! Featuring Santa Barbra Stucco exterior, European appliances, stone countertops, luxury light fixtures, flooring & finishes through-out! Do you love to explore and entertain? 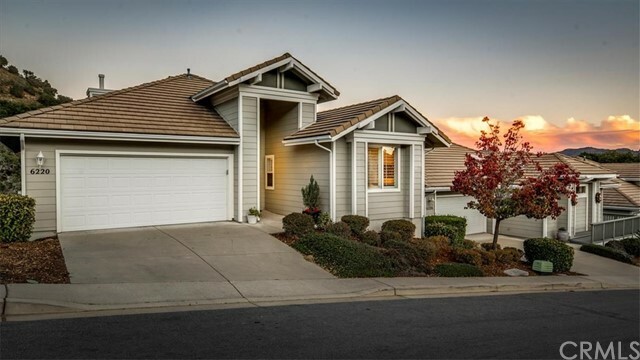 Enjoy top-tier golfing nearby, in"
"** Wow! 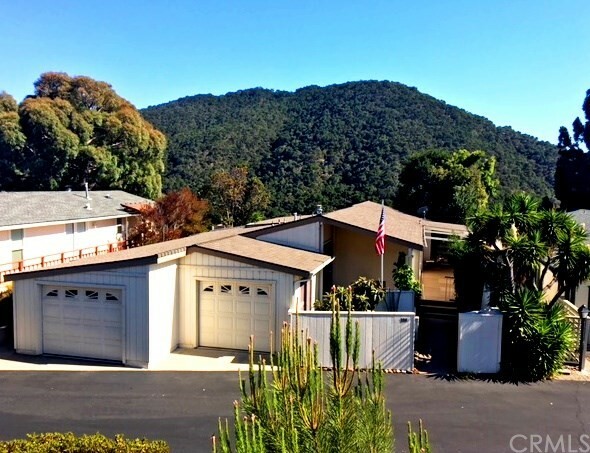 Welcome to this sought after Indian Hill 55+ Neighborhood, in San Luis Bay Estates a gated Community in Avila Beach This Craftsman Quality Hallmark Home Built in 2013 offers 3 Bed / 2 Bath, 1.600 S.F. single level 3 car attached garage, private clubhouse, pool, spa and quiet location ready to move-right-in. In addition, this Energy Star Certified home includes: over $25,750 in house upgrades alone, not including exterior yards etc. Features list on request. 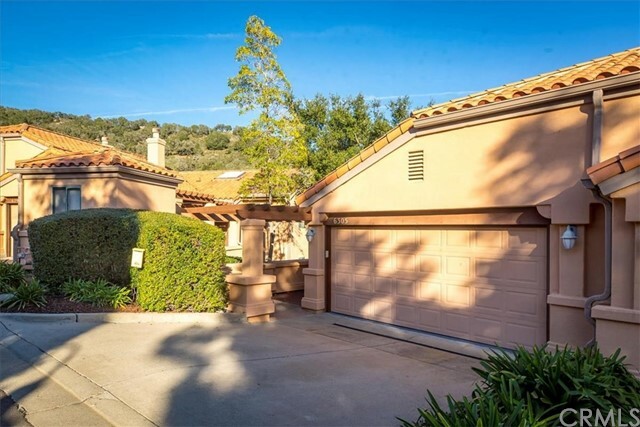 Walk to shops, re"
"Come home to your own zen retreat in Avila Beach. You own the land in the 55+ Indian Hills community behind the gates in San Luis Bay Estates, and this property includes a private garden with shade trees, footpath, drought-tolerant plants and fruit trees. 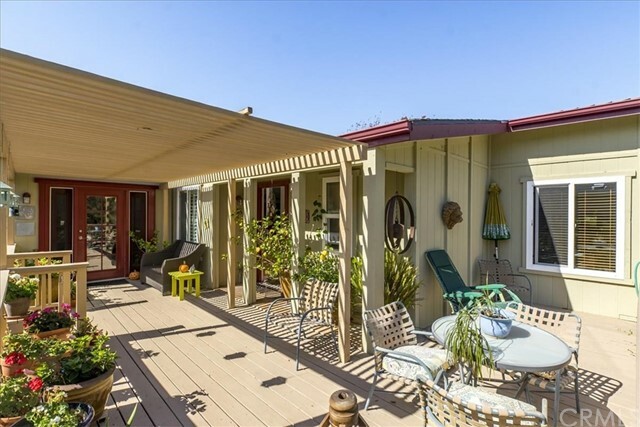 The 1700-sq-ft, 2 bedroom, 2 bath home has been lovingly maintained, including beautiful remodels to the kitchen and baths. The open-concept floor plan is complemented by a dining area with built-in curio cabinet, spacious living room with fire"
"New Price! 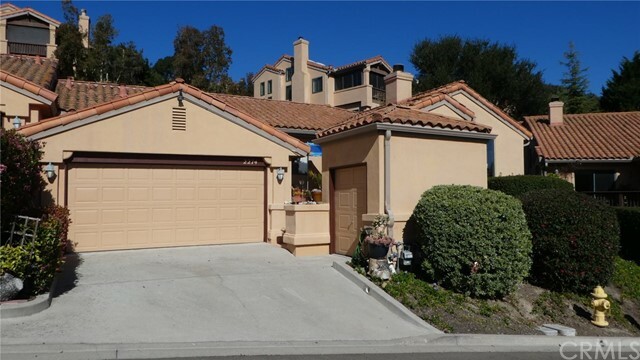 This sought after Indian Hill 55+ Neighborhood is located in San Luis Bay Estates a gated Community in Avila Beach This unique Indian Hill Home offers 2 Bed / 2 Bath, plus a bonus office, craft studio or 3rd guest bedroom. Single level living including an Attached oversize 2 car + Golf Cart garage, private deck, and private spa with panoramic views a quiet location ready to move in and call this unique property... Home. This active adult Indian Hill Community offers a pr"